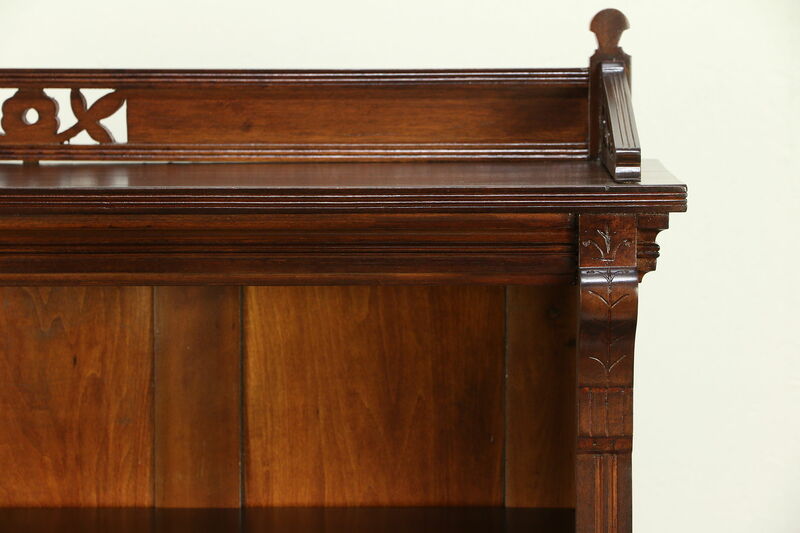 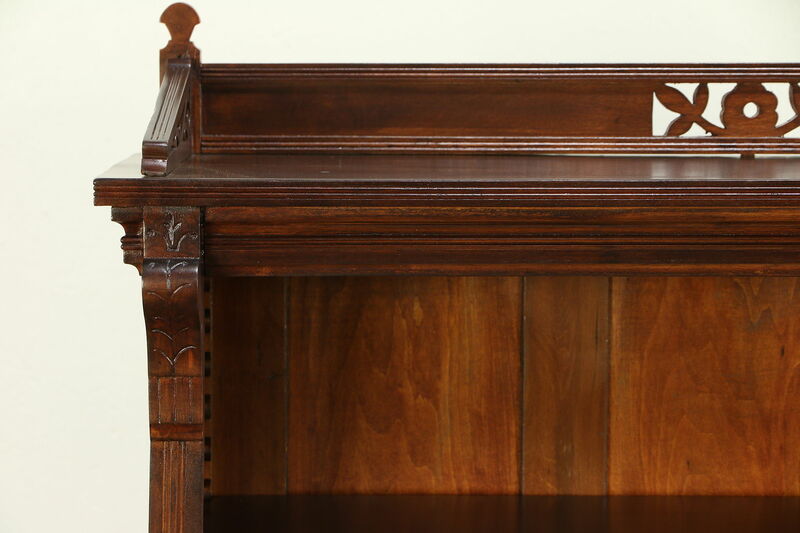 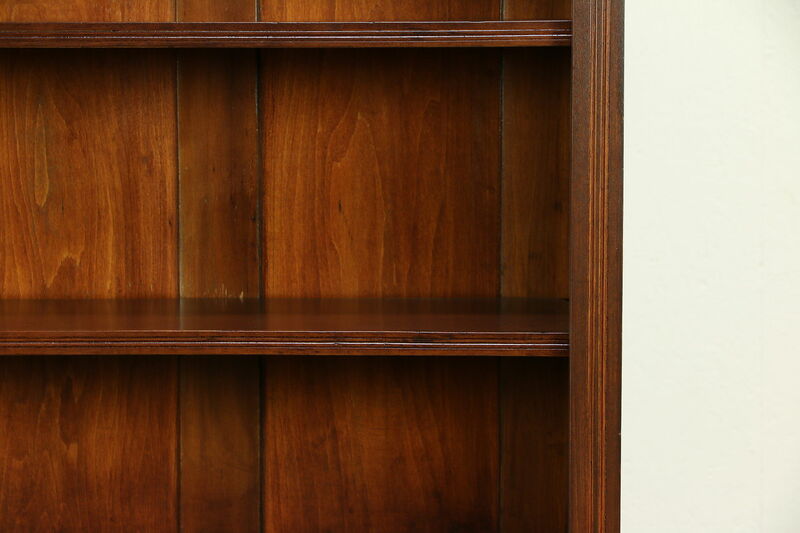 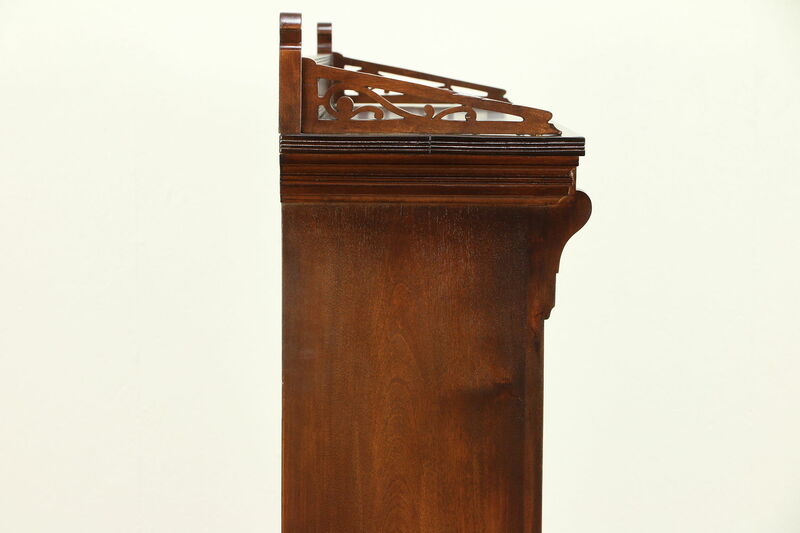 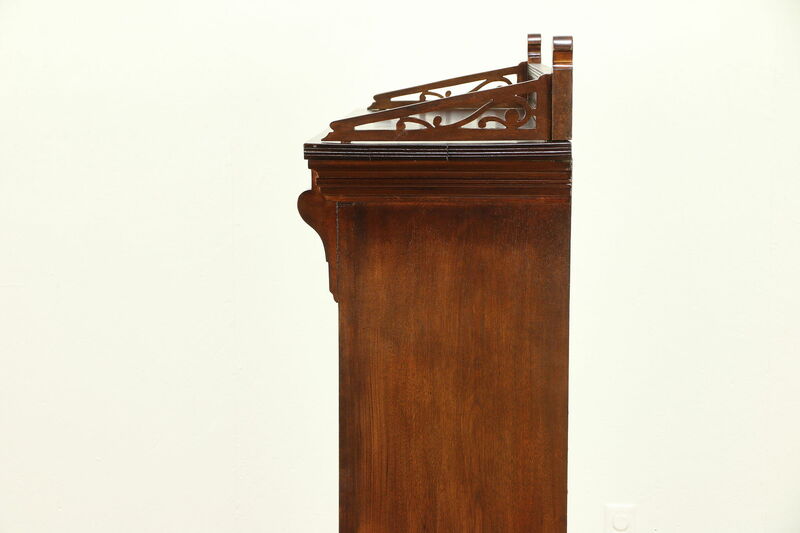 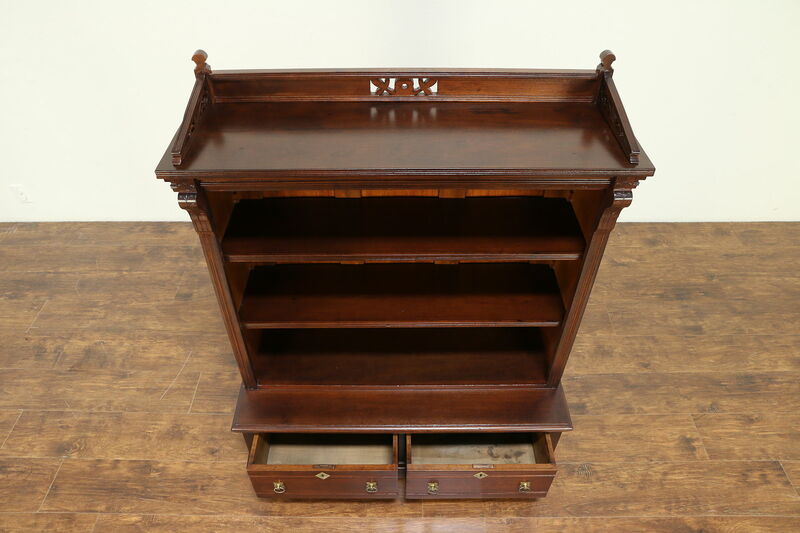 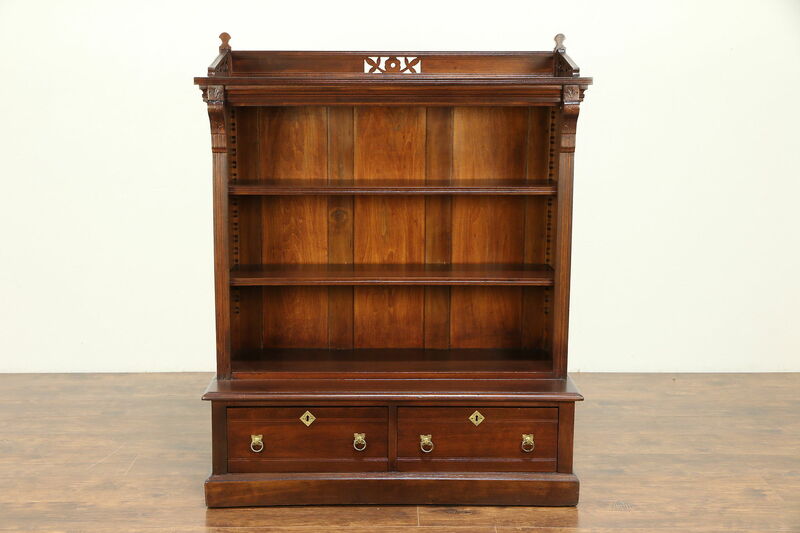 A late Victorian or Eastlake period open bookcase was carved of solid cherry and birch about 1875, and would also be useful in a bath. 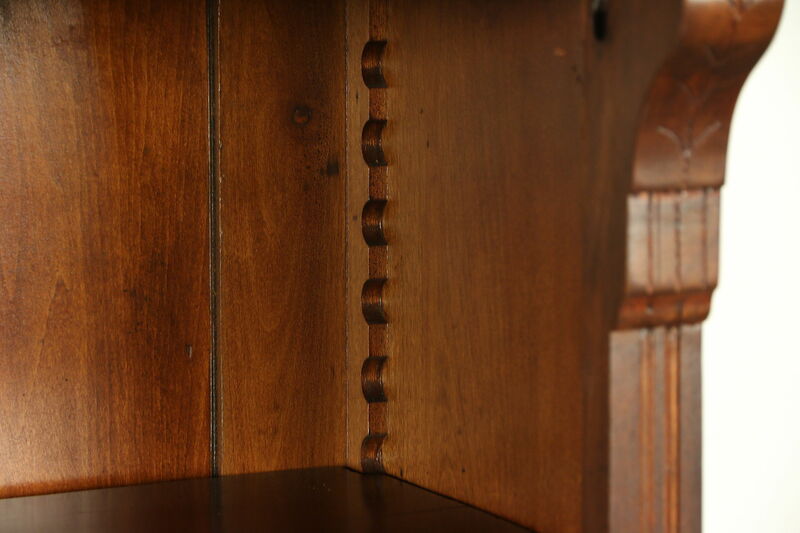 Shelves adjust on wooden supports. 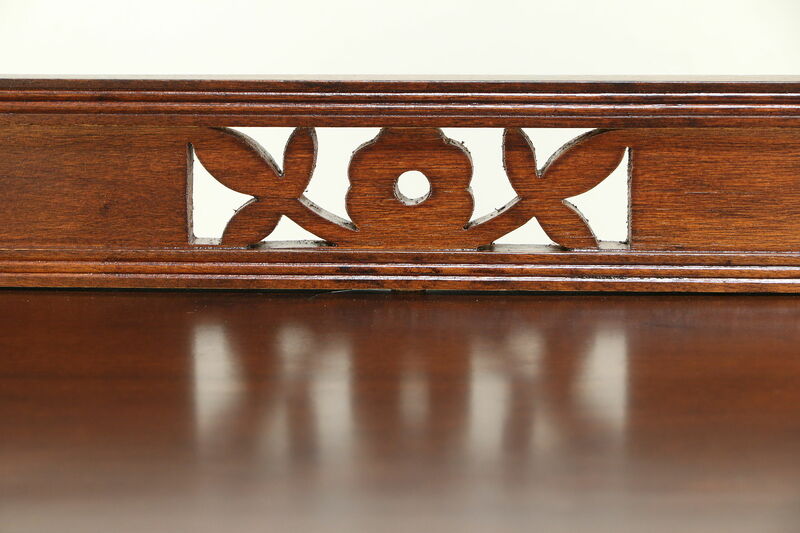 Incised carving is characteristic of the era. 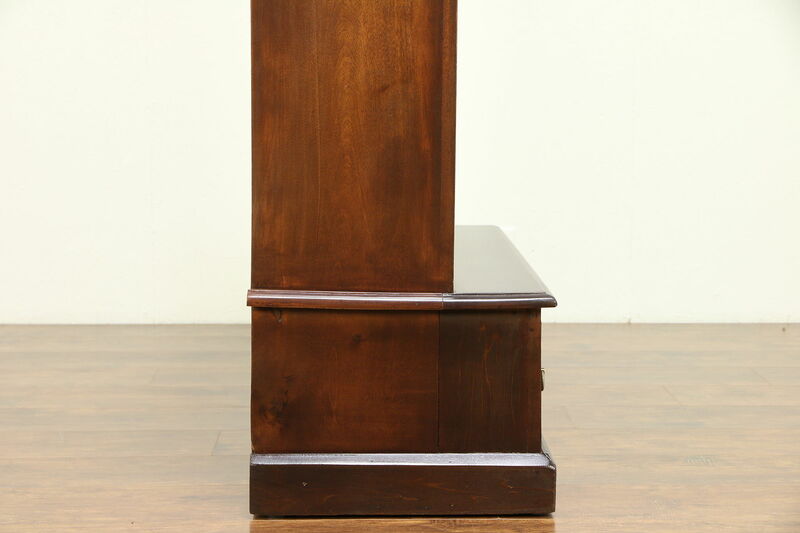 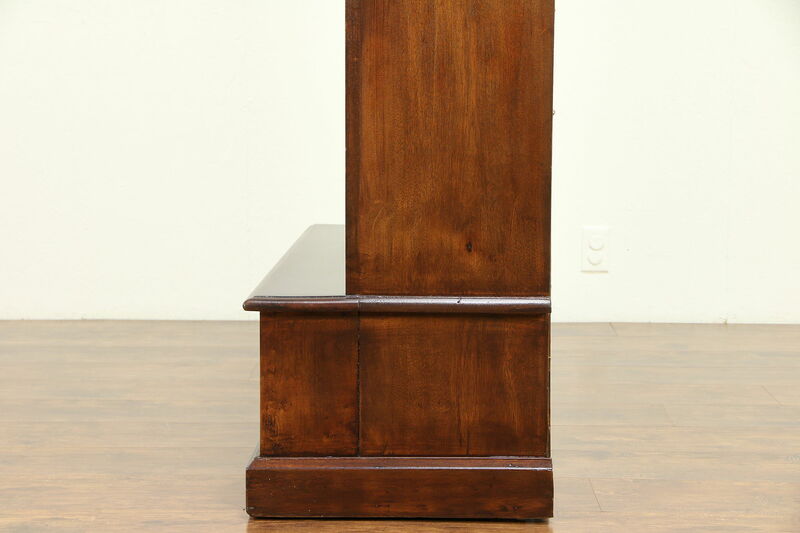 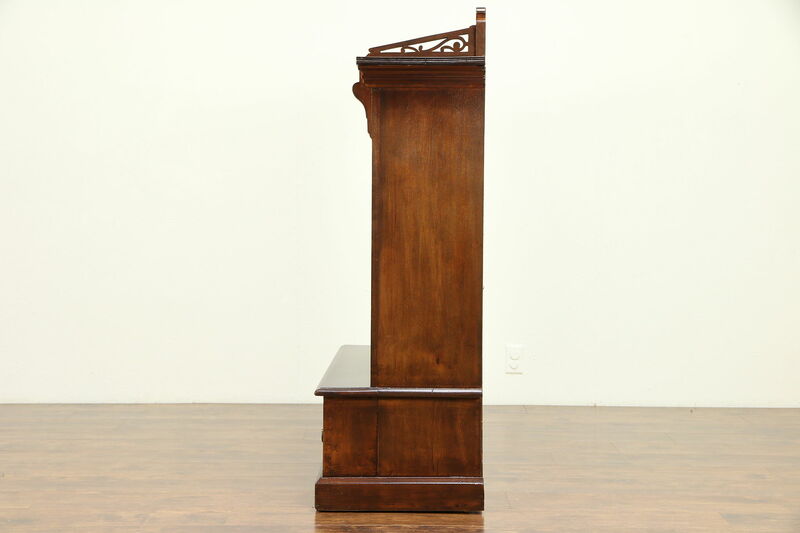 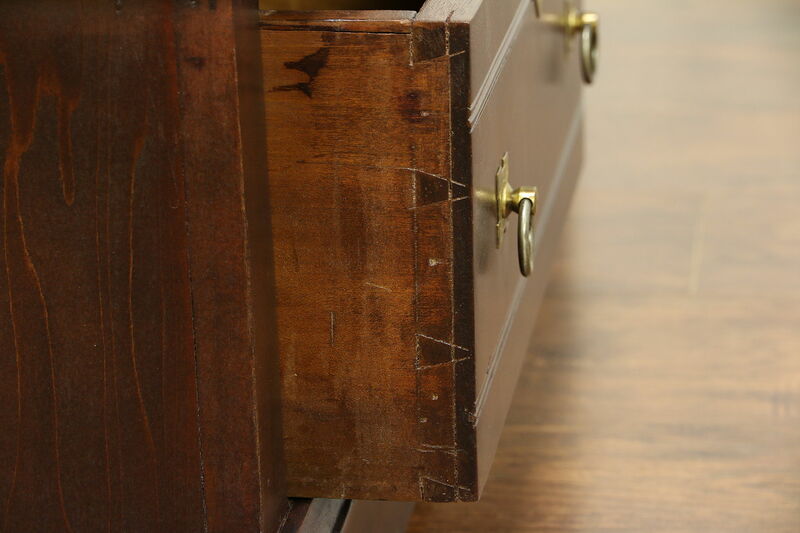 The restored finish is in excellent condition, preserving just enough stains, mars and shrinkage separations from age for a little antique character, see photos. 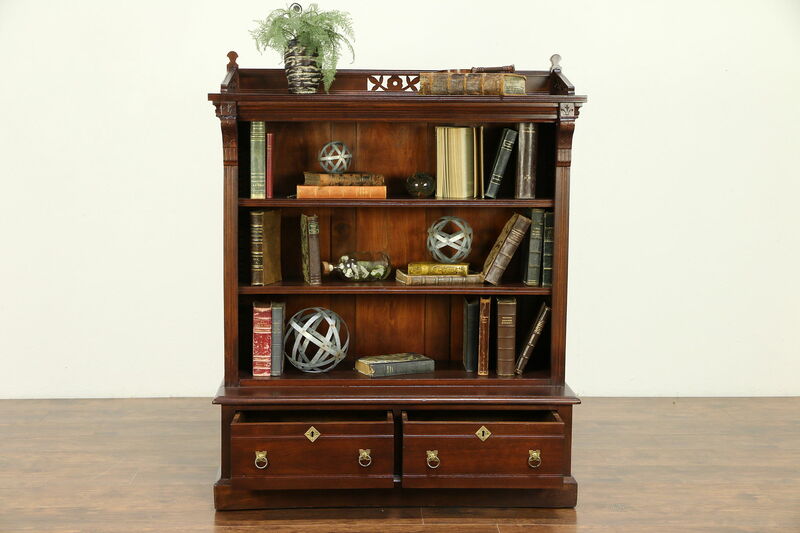 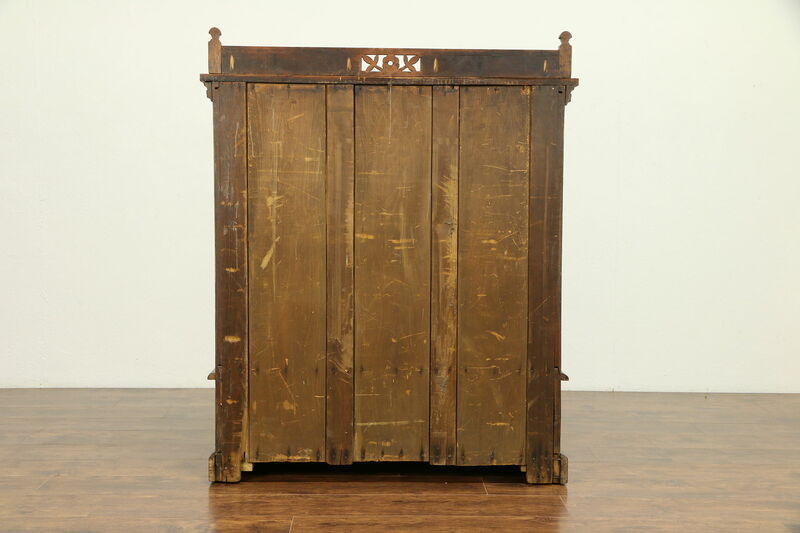 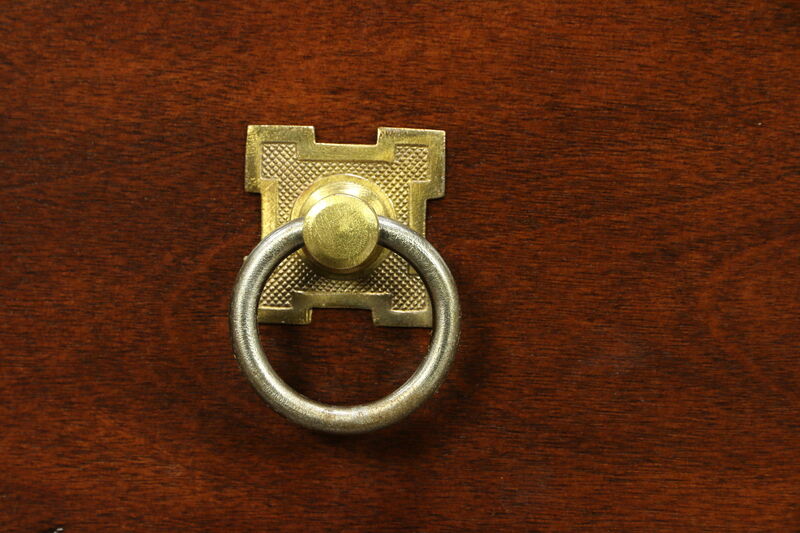 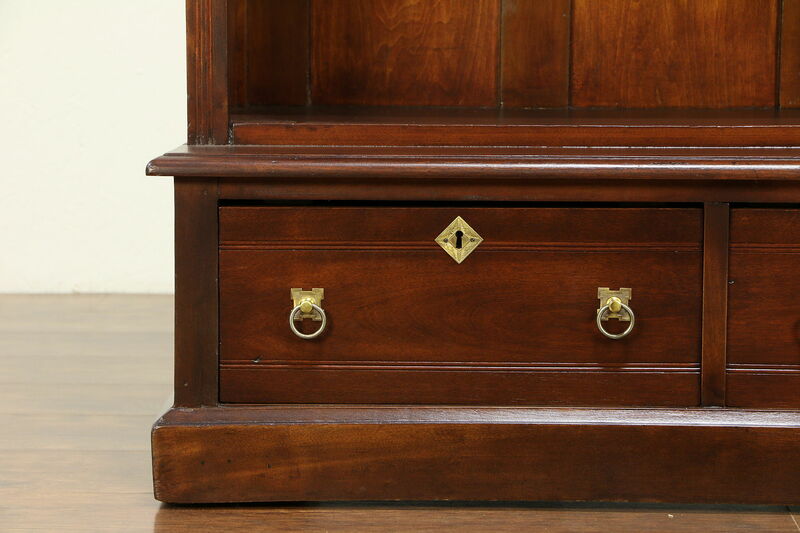 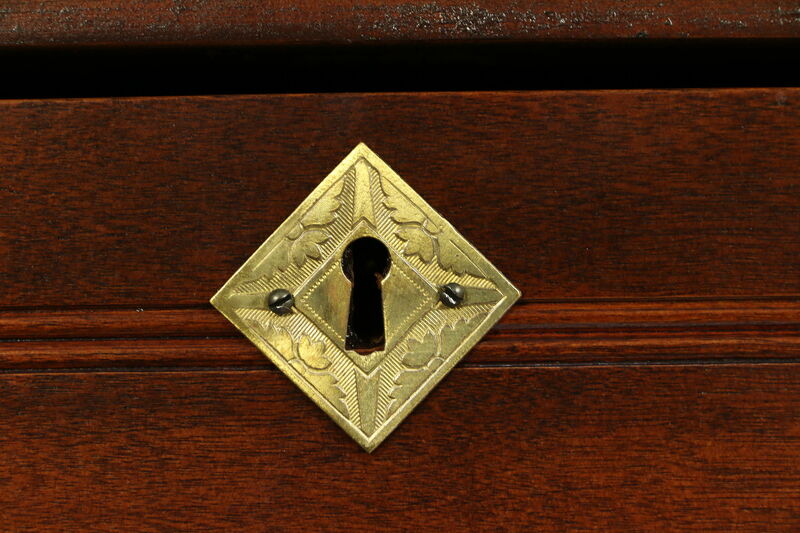 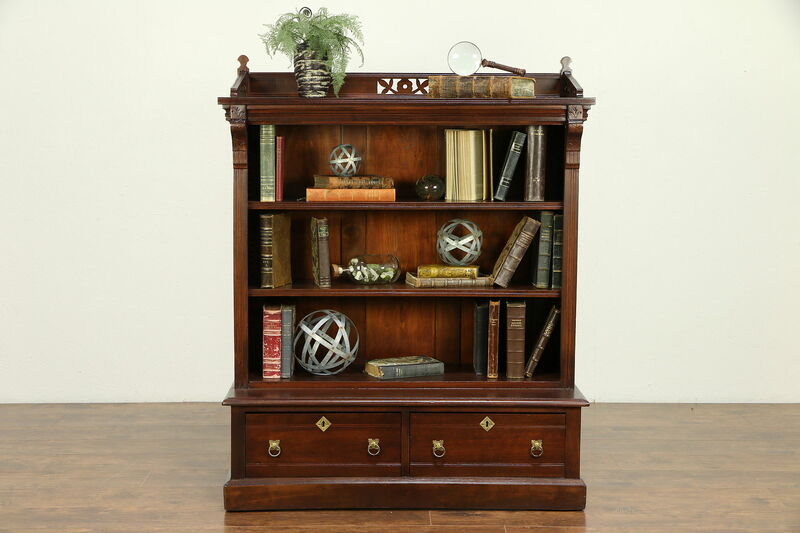 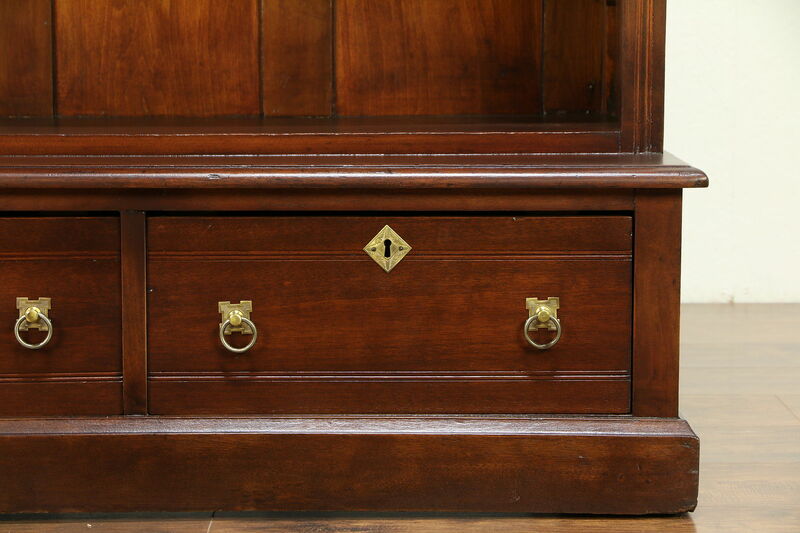 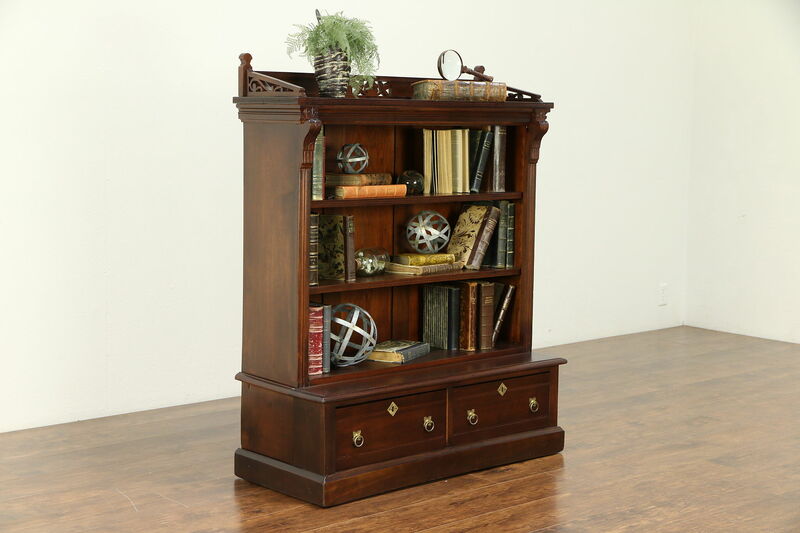 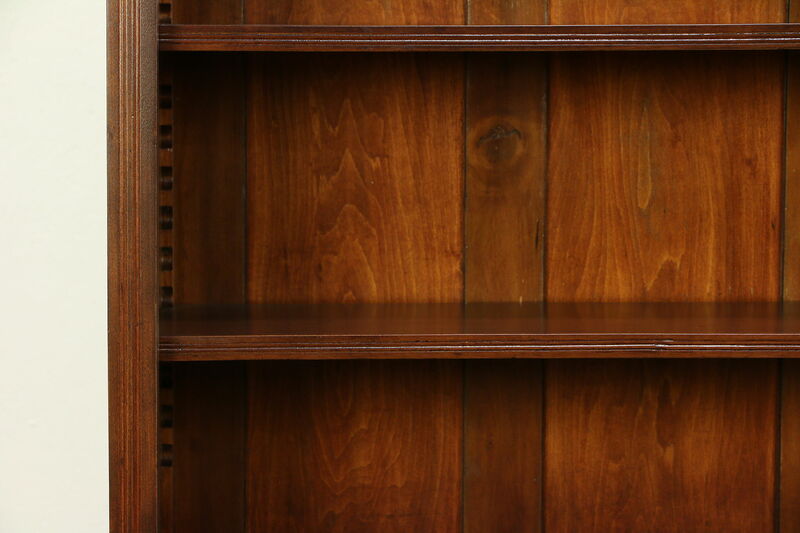 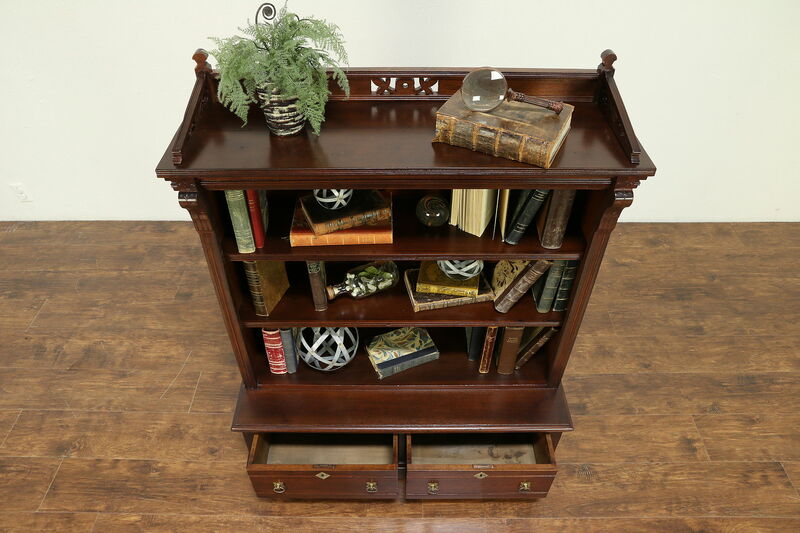 American made library furniture, drawers have hand cut dovetail joints and original iron and brass ring pulls. 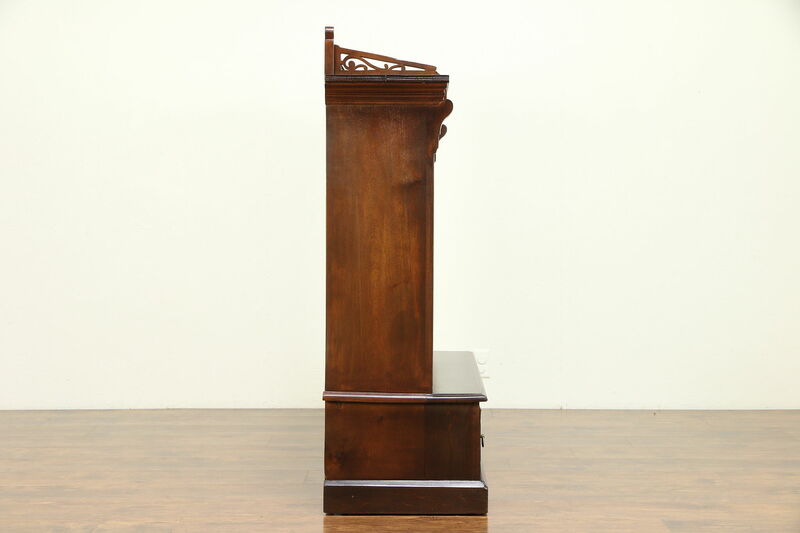 Size is 43" wide, 18" deep and 52" tall.